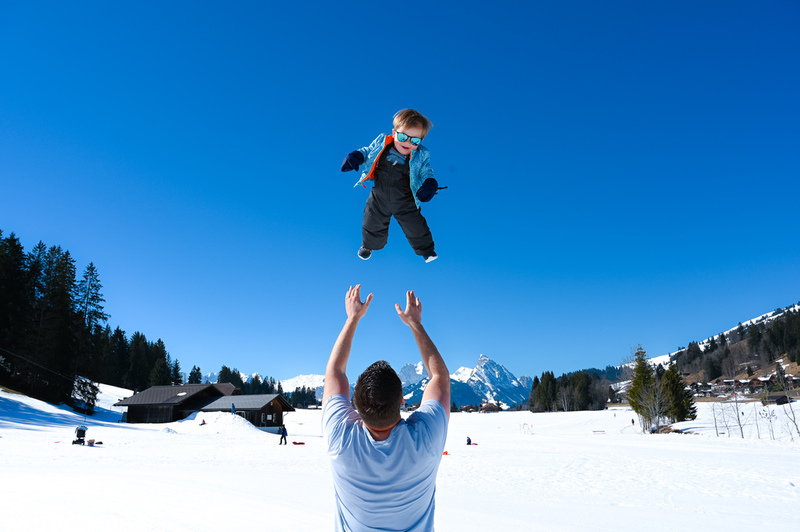 Huus Hotel Gstaad, the Swiss hotel for people, parents, and the pint-sized population. 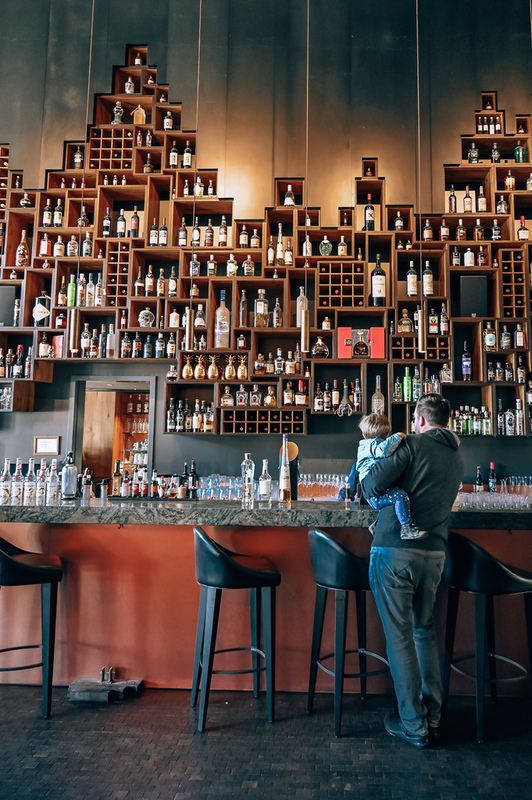 When you walk into the design-winning hotel lobby at Huus Hotel Gstaad, with alcohol that literally reaches the ceiling, the last thing you think is “let’s bring a ton of kids here!” But that’s why Huus Hotel Gstaad is even better than any kinder hotel you’ll find on the slopes – it’s a kid-friendly hotel without being completely engulfed in kid stuff. They’ve managed to offer all the family amenities one could dream of but somehow hidden them from plain view. 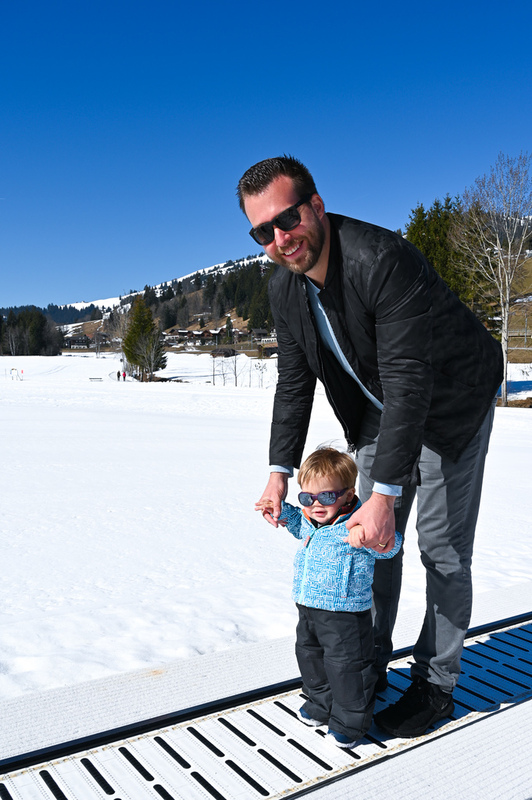 Since I’ve chosen to own my minions instead of leasing them, finding Huus Hotel Gstaad, just 2.5hrs by train from Geneva, was like finding a pair of shoes that will fit my family forever. 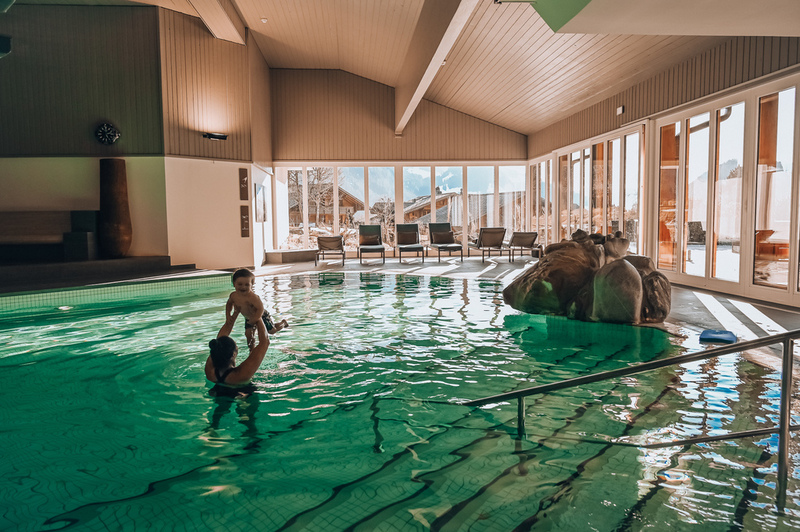 From your single years of DJs and cocktails on Friday nights straight through the kid’s clubs and out the other empty nesting end of peace and quiet, it can all be done at Huus Hotel Gstaad. 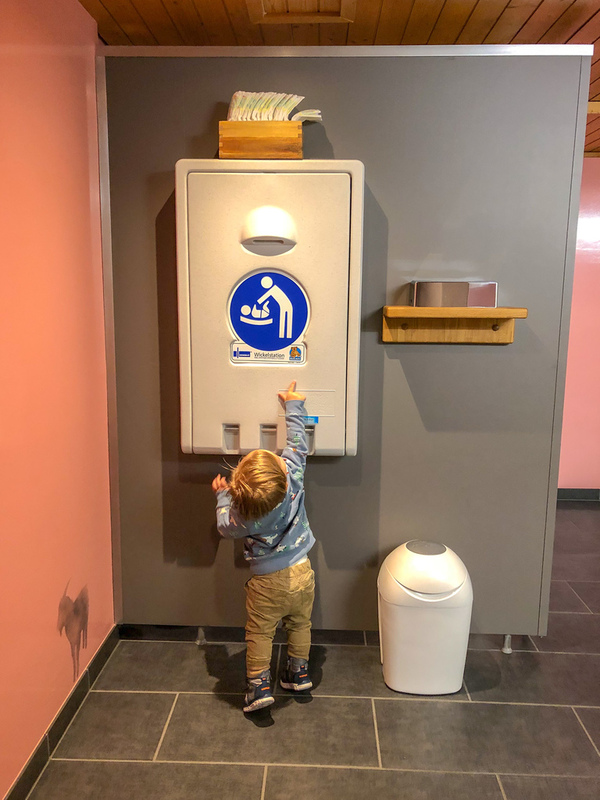 I love kid-friendly hotels. I mean, if I didn’t then I seriously chose the wrong way to spend all my time. But sometimes “kid friendly” means garish, chaotic and hills that are alive with the sound of screaming children. 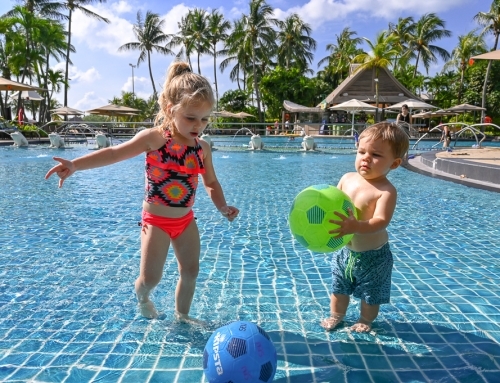 That’s a very fair assessment of some of my favorite kid-friendly resorts. Because realistically, if my kids are happy and engaged then I’m happy not having to entertain them, so I drown out the screams of someone else’s kid just like I can drown out the screams of my own kid. Being at Huus Hotel Gstaad is the exact opposite of that crazy kid resort experience. 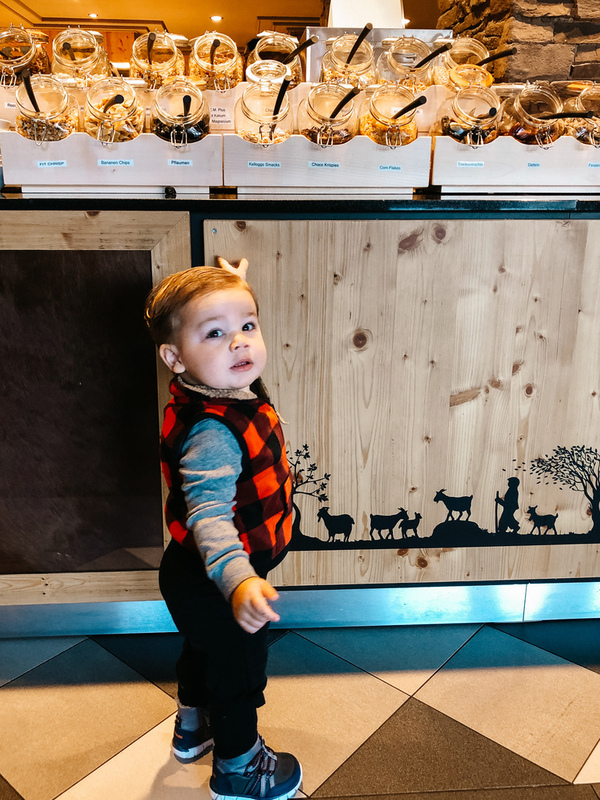 It’s quiet, sophisticated, trendy and boutique…words that aren’t commonly associated with family travel, especially when toddlers are involved. Basically, Huus Hotel Gstaad makes me feel like I can still be a human, even dare I say a trendy adult, even with my sticky baggage in tow. 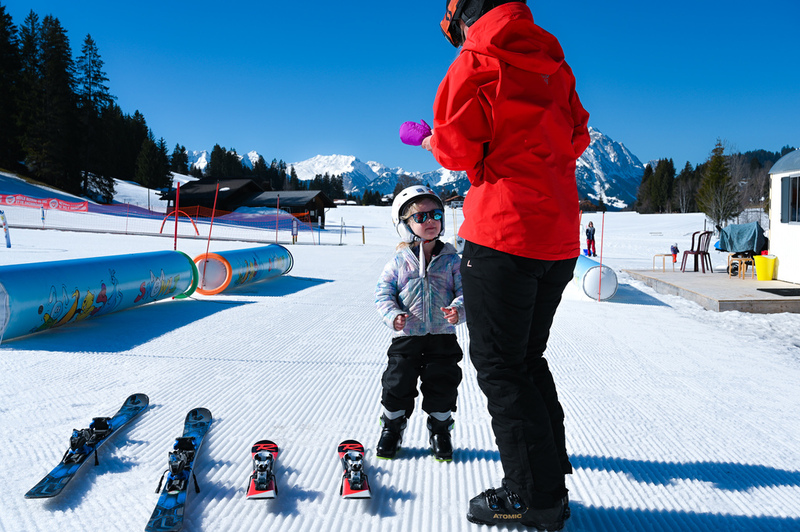 When parents think of a ski holiday, what they’re really thinking about is all the gear that will need to be rented or schlepped from home, the lessons that they’ll pour their Swiss Francs into instead of spending it at the après-ski bar and the issue of getting everybody and everything back and forth without sweating through their thermals. Huus Hotel Gstaad makes this process as smooth as a fondue with everything that’s included in their room rate. 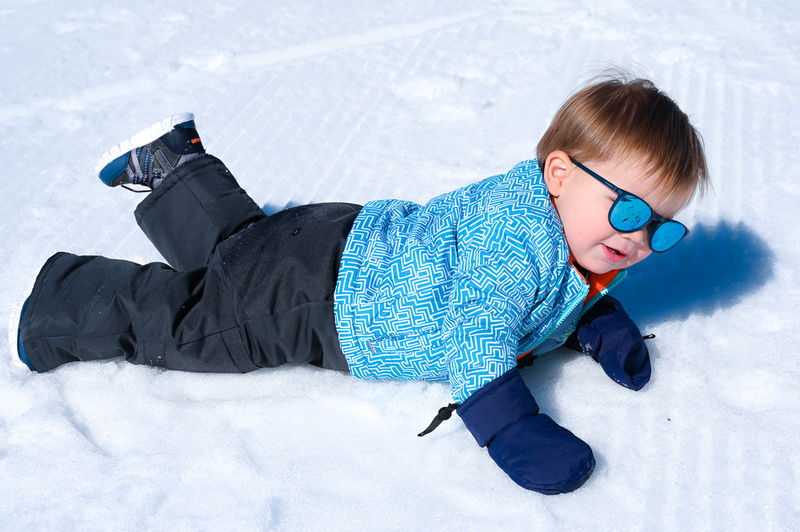 For kids under 9 years old, all gear rental from skis to sleds are totally free from the hotel’s private ski shop on property. 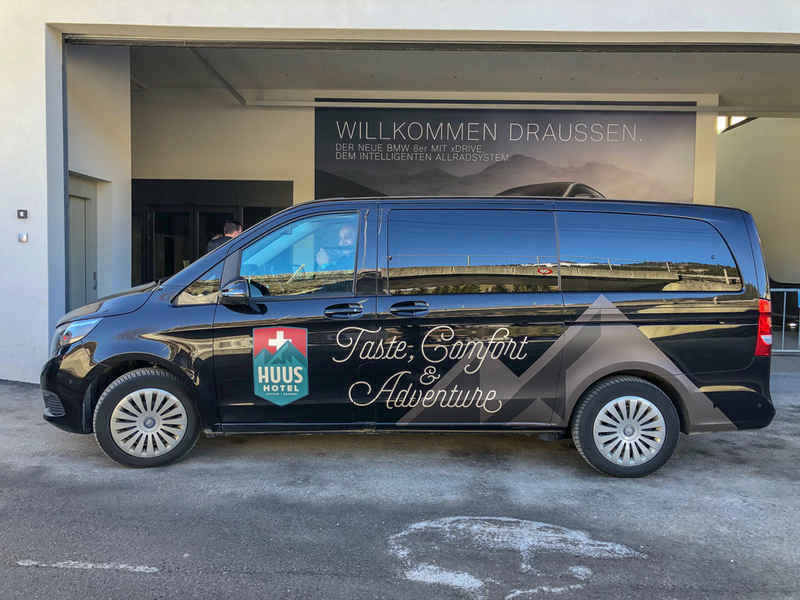 You get access to their Land Rover fleet, or you can take their luxury shuttles to and from the mountain at convenient times throughout the day. 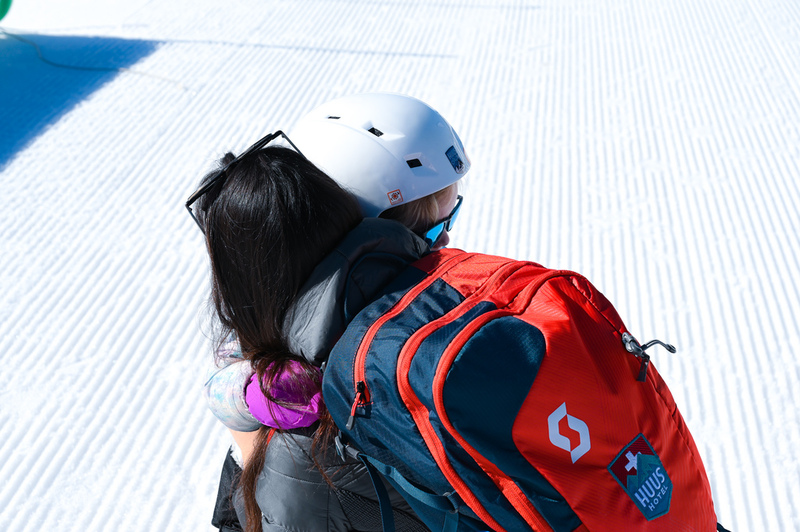 On top of that, you have the FREE ski school at your disposal! 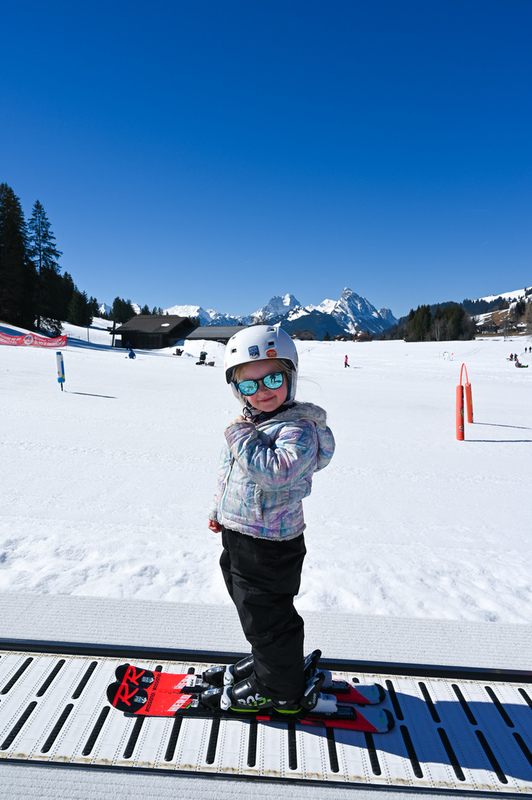 To put all this into real terms, we took our 3.5-year-old on this trip hoping to get her on some skis for the very first time, but had very low expectations and didn’t want to spend too much money if it was going to be a total bust. 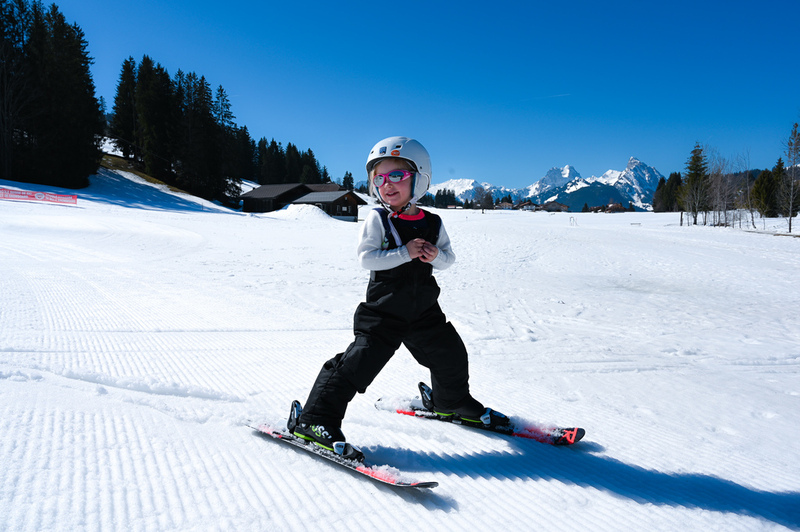 For zero additional dollars, we got her into boots and skis by the Huus Hotel Gstaad team and took the hotel shuttle to the mountain for her 2-hour ski school lesson (which turned into a private lesson because no one else signed up that morning). 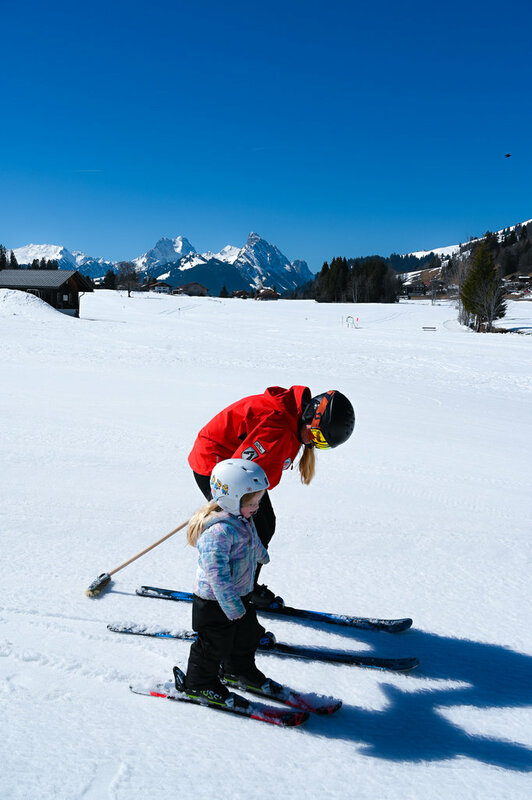 During her lesson, her instructor coached her out of her threenager meltdown, bribed with chocolate to get her back into skis, and was generally parenting better than me on a good day. 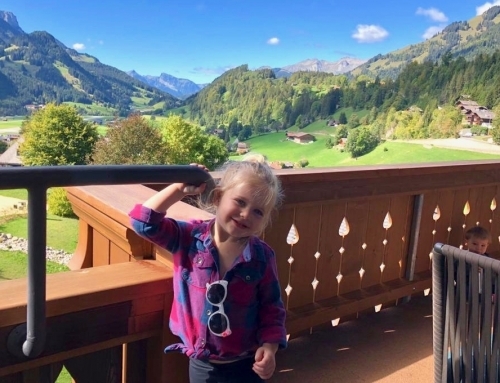 Then we hopped back into the Huus Hotel Gstaad shuttle van to the hotel, ate, napped, and dropped her off at the supervised playroom for the rest of the afternoon. 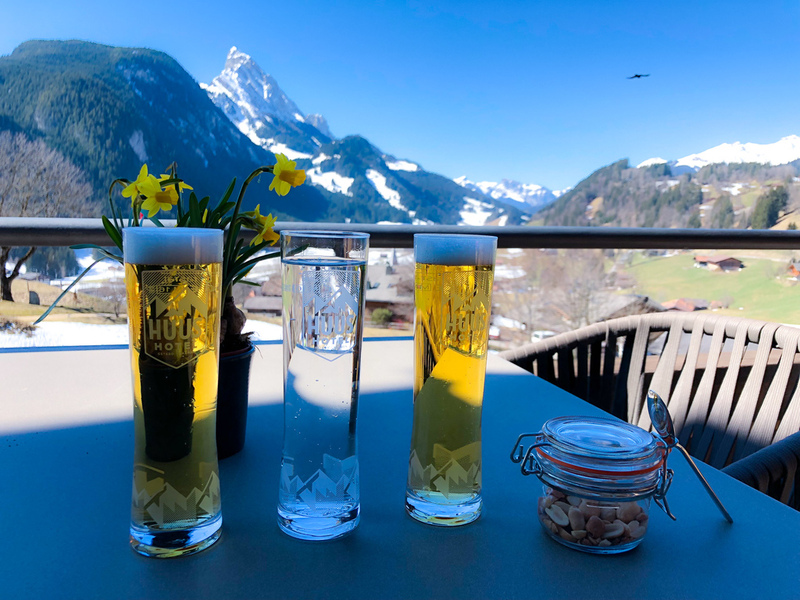 I would have paid a lot of money for the memories we made that day, but because we were staying at the Huus Hotel Gstaad, it came at the low, low cost of nothing. 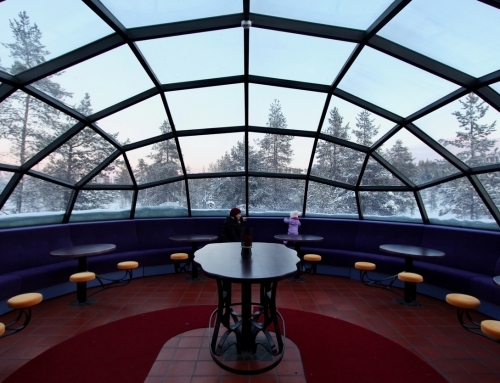 Let’s talk about the rooms for a second, shall we? I’ve stayed in two different room types at Huus Hotel Gstaad. 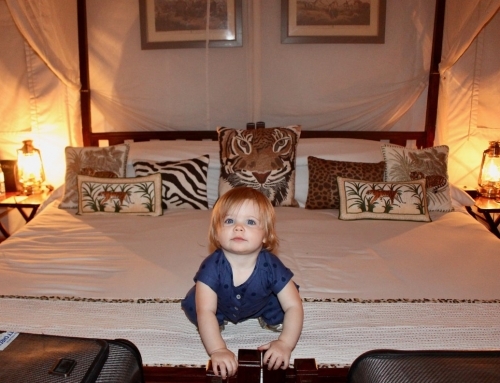 On our first trip, we stayed in the family room with a separate living room with a sofa bed for the kids. It was beautiful, spacious, and perfect for our family of four. 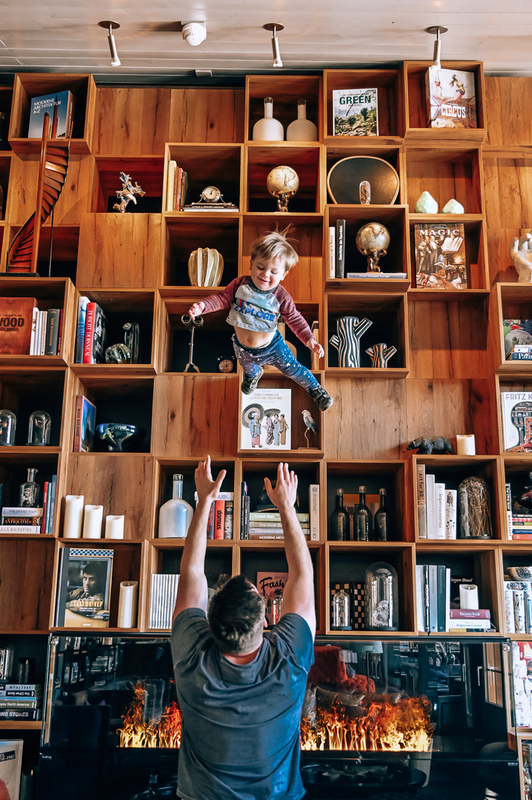 Most recently, we had the opportunity to stay in one of their seriously stunning suites, which was easily bigger than my first three apartments in New York City. 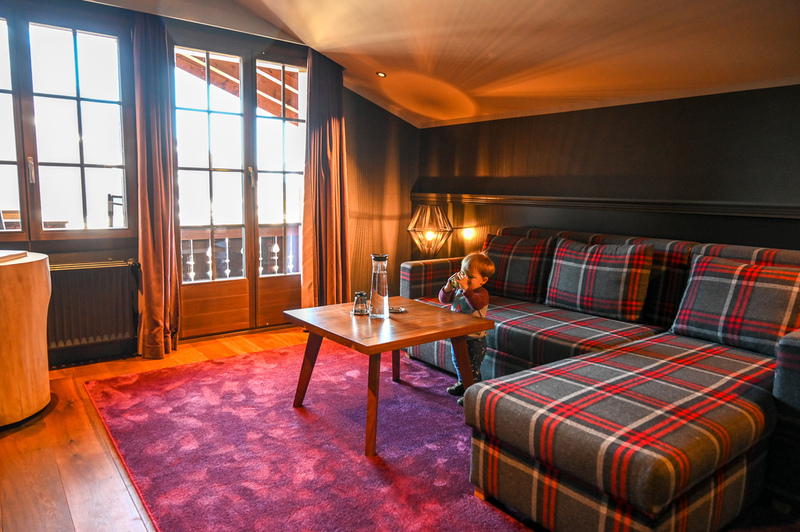 Huus Hotel Gstaad’s suites are kind of two hotel rooms put together into one. With three toilets, a bathtub, shower, eating space, king-sized Halstens bed, separate room with a sofa bed and walk in wardrobe. In summary, it’s big enough that a Swiss mountain dog would feel comfortable, and has room for all his whiskey barrel swinging buddies to join as well. 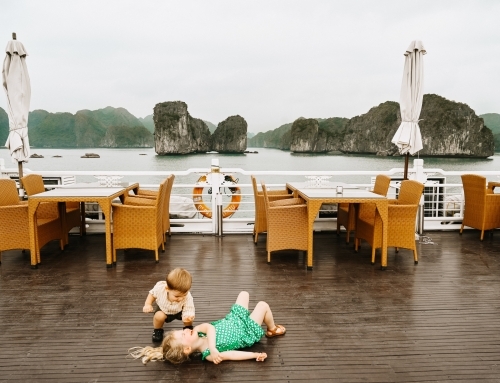 The reality of family travel is that there’s a ton of family involved, like 24/7 family time from sun up to sun down. Which usually means lights out for everyone by 8 pm when the kids are asleep due to close sleeping quarters. 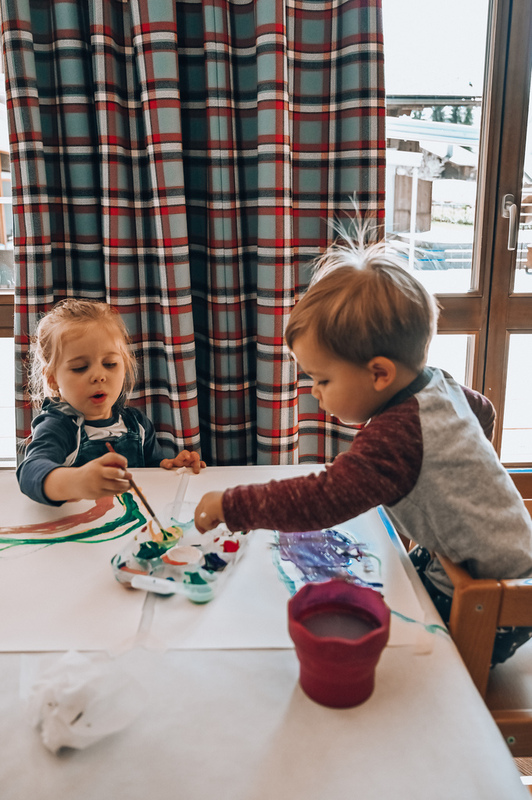 But rooms at Huus Hotel Gstaad, whether it be the family rooms or the suites, give you the chance to actually put the kids to sleep in one room and then be adults in the other room. Not like we can stay up past 9 pm anyway #becausekids, but it’s nice to feel like we have the option! 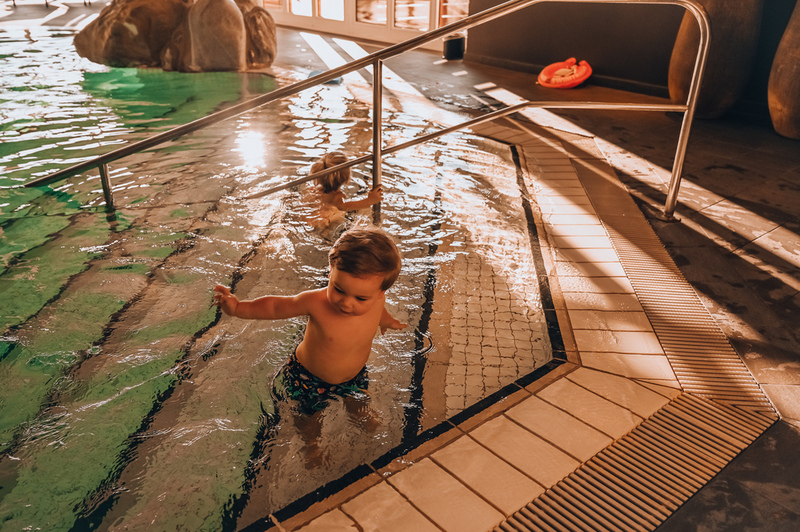 I haven’t even mentioned all of the incredible kid-centric amenities (which if you don’t have one you might not even notice). 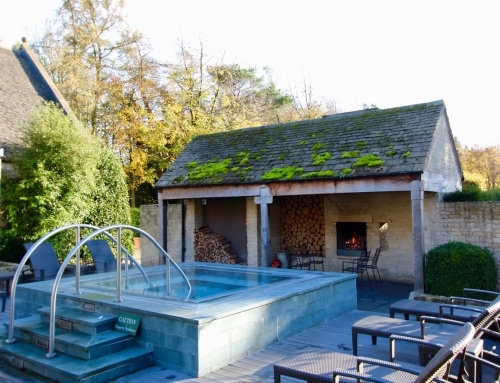 Non-parents will see the gorgeous pool with mountain views and adjoining spa. Parents will spot the staircase that leads down to the kid spa including an indoor playground, climbing wall, sensory shower and playroom. 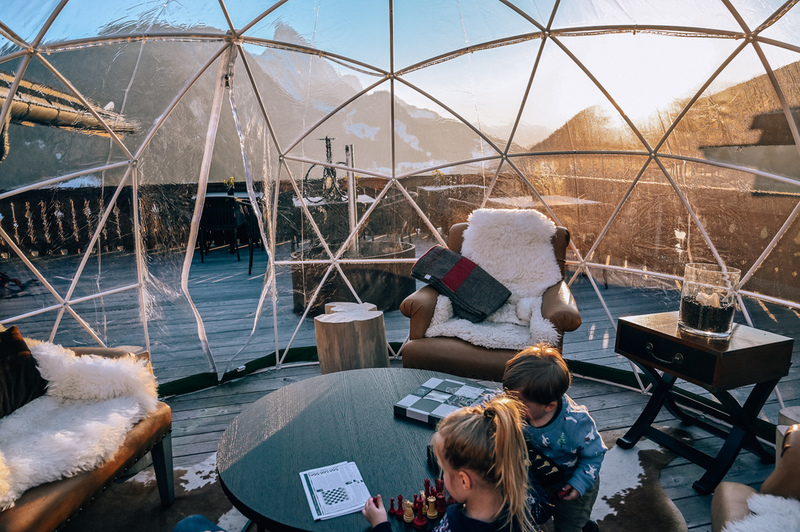 Guests that don’t have a lifetime supply of baby wipes in their Amazon shopping cart will sit in the fondue igloo, sipping wine and eating enough bread and cheese to become a Swiss citizen, while parents will find their haven just two floors below at the multi-room kid space with daily activities including painting, dress up, movie time, foosball and more. 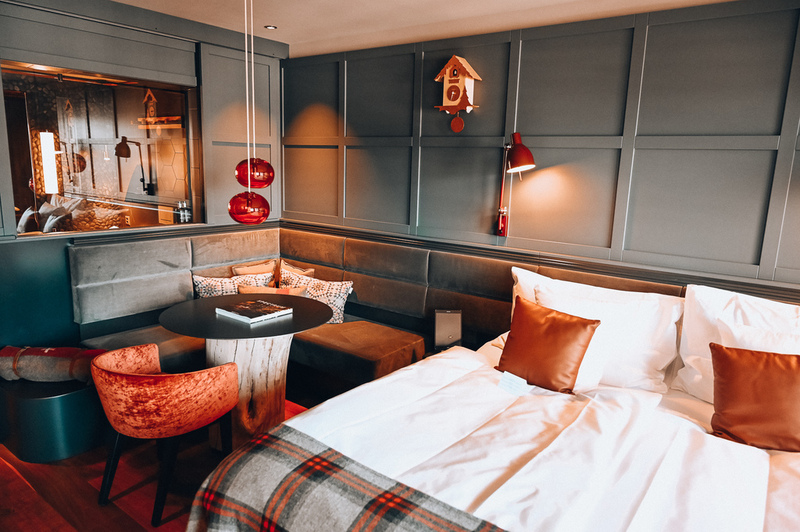 If any of this information looks familiar, it’s because this is our second time staying at Huus Hotel Gstaad. 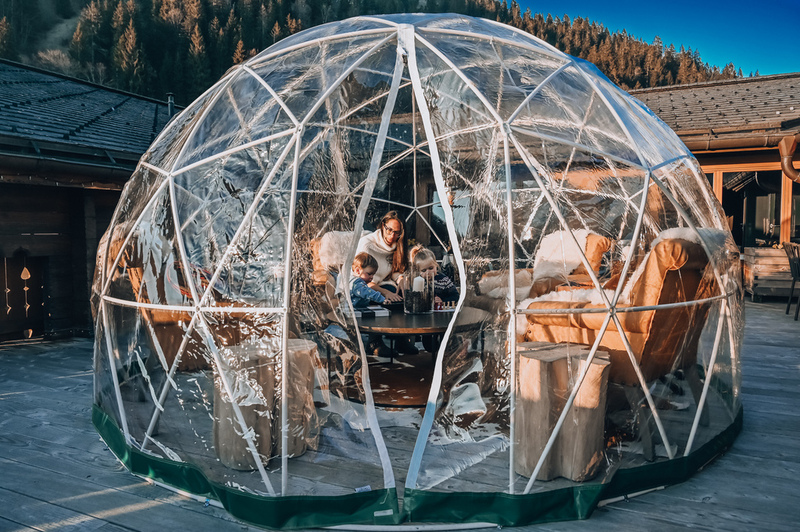 Our first visit was in September to experience their summer activities, and we returned in March for their winter wonderland. Given that we rarely go back to the same place, let alone the same hotel, I think it’s clear how we feel about this Swiss gem. 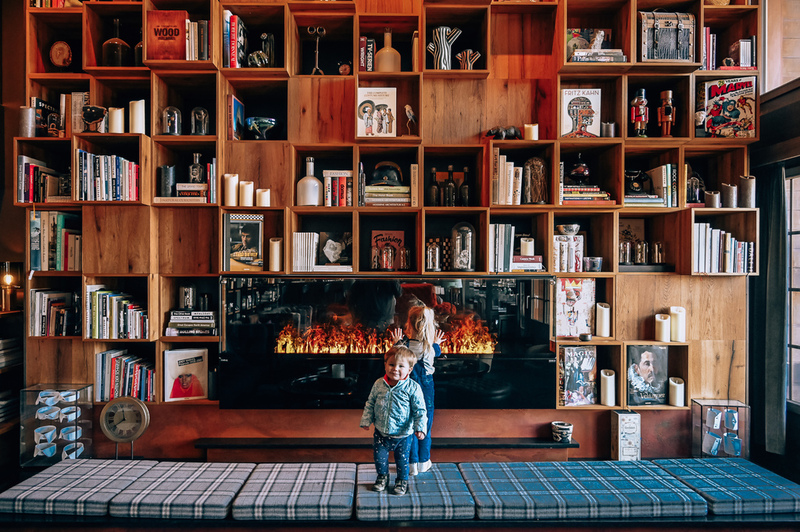 Huus Hotel Gstaad gave us family memories that we could never create as easily anywhere else, all while making us feel like Aperol Spritzs at apres-ski aren’t only for the non-parent population. 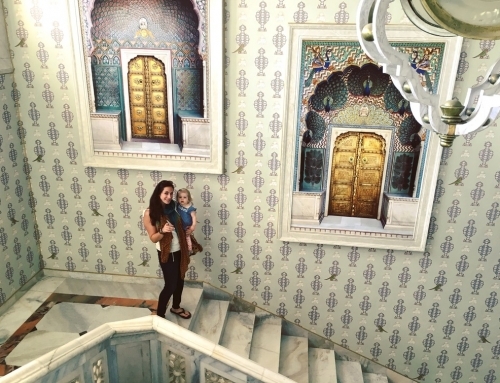 I talk a lot about luxury hotels and whether or not you feel the value of the high price tag. And Huus Hotel Gstaad is definitely a place where you get a lot for your money and walk away knowing you’ll be back soon. 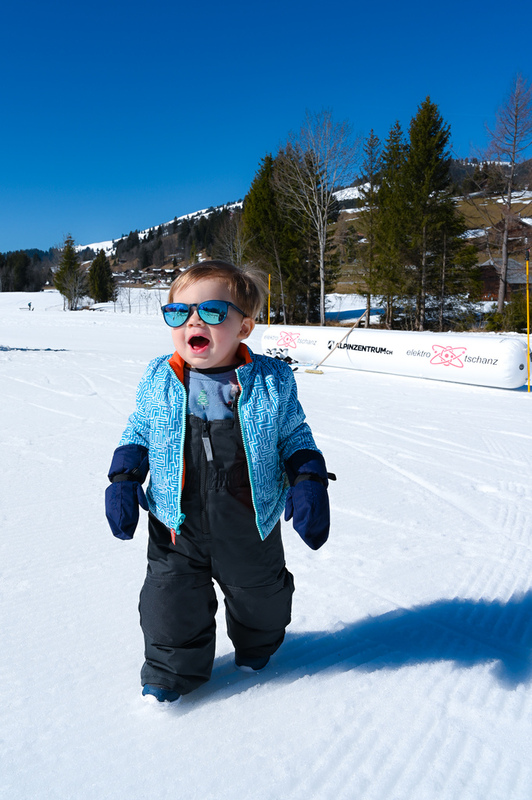 Thanks Huus Hotel Gstaad for inviting us back for another hosted stay to experience your amazing family-friendly hotel in the snow. 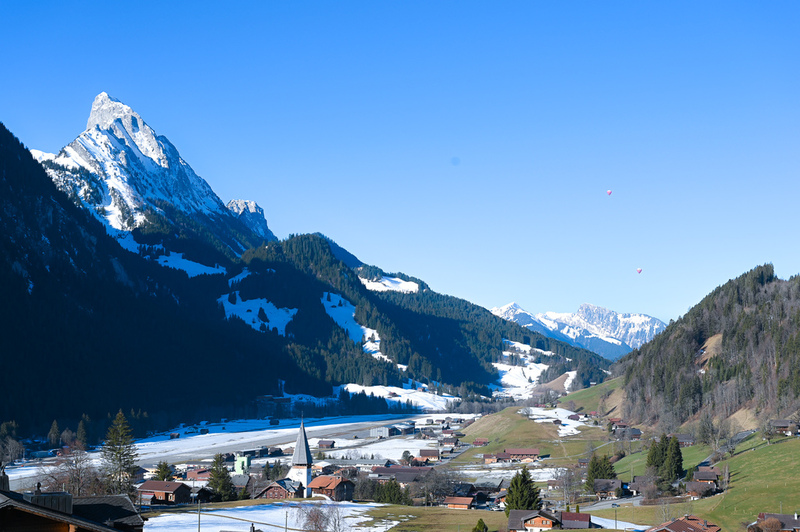 It’s clear that we have a serious Swiss crush on you!